Dr. Chute is the Bloomberg Distinguished Professor of Health Informatics, Professor of Medicine, Public Health, and Nursing at Johns Hopkins University, and Chief Research Information Officer for Johns Hopkins Medicine. He received his undergraduate and medical training at Brown University, internal medicine residency at Dartmouth, and doctoral training in Epidemiology at Harvard. He is Board Certified in Internal Medicine and Clinical Informatics, and a Fellow of the American College of Physicians, the American College of Epidemiology, and the American College of Medical Informatics (ACMI); he is currently president of ACMI. His career has focused on how we can represent clinical information to support analyses and inferencing, including comparative effectiveness analyses, decision support, best evidence discovery, and translational research. He has had a deep interest in semantic consistency, harmonized information models, and ontology. His current research focuses on translating basic science information to clinical practice, and how we classify dysfunctional phenotypes (disease). 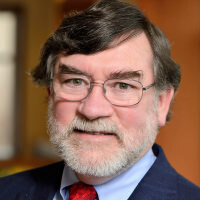 He became founding Chair of Biomedical Informatics at Mayo in 1988, retiring from Mayo in 2014, where he remains an emeritus Professor of Biomedical Informatics. 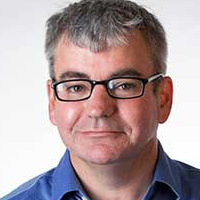 He is presently PI of the NCATS Translator TransMed grant, and Deputy Director of the CTSA program at Johns Hopkins. He has been PI on a large portfolio of research including the HHS/Office of the National Coordinator (ONC) SHARP (Strategic Health IT Advanced Research Projects) on Secondary EHR Data Use, the ONC Beacon Community (Co-PI), the LexGrid projects, Mayo’s CTSA Informatics, and several NIH grants including one of the eMERGE centers from NGHRI, which focus upon genome wide association studies against shared phenotypes derived from electronic medical records. He has been active on many HIT standards efforts and currently chairs the World Health Organization (WHO) ICD-11 Revision. Dr. Wilson is Professor and Chair of the Department of Health Services, Policy and Practice at the Brown University School of Public Health, as well as Professor of Medicine at the Alpert Medical School. Dr. Wilson graduated from Harvard College and Harvard Medical School. He completed a Primary Care Internal Medicine residency program at Beth Israel in Boston, MA, where he then served as Chief Medical Resident. He was a General Medicine Fellow and received an Sc.M. in Epidemiology from the Harvard School of Public Health. In 1993 he joined the faculty at Tufts Medical Center where he rose to the rank of Professor in 2006. In 2010, he moved to Brown to become Chair of the Department of Health Services, Policy and Practice at the School of Public Health. Dr. Wilson is the Co-Director of the Professional Development Core of the Providence/Boston Center for AIDS Research (CFAR)and Director of the Professional Development Key Component of the Rhode Island Institutional Development Award in Clinical and Translational Research (IDeA-CTR). He has two R01 awards from NIMH to study aspects of HIV and aging. Dr. Wilson’s main research interests are in how structural features of healthcare systems affect the interactions between physicians and patients, and how those interactions in turn affect patients' health outcomes. He has studied patients with chronic conditions such as the elderly, persons with depression, and persons with HIV. In recent years, his research has focused on understanding and improving the quality of medication prescribing and medication management, the development and testing of interventions to improve adherence, and aspects of HIV and aging. He is national Co-Chair of the Behavioral Science Advisory Group that provides input to to the five international HIV clinical trials groups funded by the NIH Division of AIDS and also is a member of the Advisory Committee on Social Science and Health Preparedness of the International AIDS Society CURE Initiative. In 2014 he was appointed by Governer Raimondo to be Co-Chair of the “Working group to Reinvent Medicaid” in Rhode Island, and has been a member of a number of subsequent groups appointed by the governer to reform health care in the state. John E. McDonough, DrPH, MPA is a professor of practice at the Harvard TH Chan School of Public Health in the Department of Health Policy & Management. Between 2008 and 2010, he served as a Senior Advisor on National Health Reform to the U.S. Senate Committee on Health, Education, Labor and Pensions where he worked on the writing and passage of the Affordable Care Act. Between 2003 and 2008, he was Executive Director of Health Care For All, Massachusetts’ consumer health advocacy organization where he played a leading role in the passage of the 2006 Massachusetts Health Reform Law. From 1998 through 2003, he was an associate professor at the Heller School at Brandeis University. From 1985 to 1997, he was a member of the Massachusetts House of Representatives where he co-chaired the Joint Committee on Health Care. His articles have appeared in the New England Journal of Medicine, Health Affairs and other journals. He has written: Inside National Health Reform in 2011 and Experiencing Politics: A Legislator’s Stories of Government and Health Care in 2000, both by the University of California Press and the Milbank Fund, and Interests, Ideas, and Deregulation: The Fate of Hospital Rate Setting in1998 by the University of Michigan Press. He holds a doctorate in public health from the University of Michigan and a master’s in public administration from the Kennedy School of Government at Harvard. Rachana Pradhan is a health care reporter for POLITICO Pro. Before coming to POLITICO, she spent more than three years at Inside Health Policy focusing on implementation of the Affordable Care Act. Prior to that, Pradhan worked at The Daily Progress in Charlottesville, Va., and spent most of her time covering city government (with the occasional foray into stories on urban chicken-keeping and the closure of neighborhood pools). 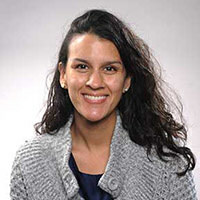 Pradhan is a rare local of the Washington, D.C., area and graduated from James Madison University. She was also news editor of JMU’s student newspaper, The Breeze. Paul Demko is a healthcare reporter for POLITICO Pro. He's primarily responsible for covering the insurance industry. Prior to joining POLITICO, he was the Washington bureau chief at Modern Healthcare. Demko also spent a decade reporting in Minnesota, including stints with Politics in Minnesota and City Pages. He started his career at The Chronicle of Philanthropy. Demko is a graduate of New York University. Kevin A. Schulman, MD, MBA serves as a professor of medicine at Duke University. 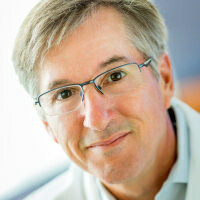 At Duke, he is a faculty associate director of the Duke Clinical Research Institute (DCRI) at the School of Medicine. At 1200 faculty and staff, the DCRI is the country’s largest academic clinical research organization. At Duke’s Fuqua School of Business, Dr. Schulman oversaw the growth of what has become the country's largest health sector management program at any top business school. He served as the Gregory Mario and Jeremy Mario Professor of Business Administration, director of the Health Sector Management Program (HSM), and the Center for the Study of Health Management for over a dozen years. During this time, he graduated almost 1500 students with a Certificate in Health Sector Management. He is the Founding Director of the unique Master of Management in Clinical Informatics program (MMCi), originally offered through the Fuqua School of Business and now housed in the Duke University School of Medicine. He has served as a Visiting Professor in General Management at Harvard Business School from 2013-2016, and a visiting scholar since 2016. This appointment served as a part of the HBS Health Care Initiative. At HBS, he has co-taught Innovating in Health Care with professor Regina Herzlinger 2013-2015, and wrote and taught Innovating in Biomedical Technology in 2014. 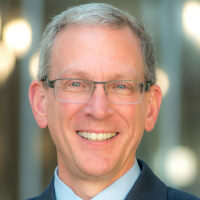 He is the Founding President of the Business School Alliance for Health Management (http://www.BAHM-Alliance.Org), which is a consortium of the leading business schools offering health management programs. 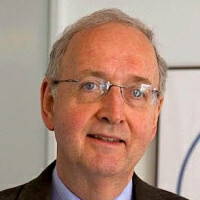 He is a founding member of the Global Educators Network for Health Care Innovation and Entrepreneurship (GENIE) Group (www.thegeniegroup.org). He regularly teaches courses in biotechnology (including for the FDA Commissioner's Fellows Program), healthcare innovation, healthcare biomedical technology, health IT and strategy, and global health care systems. Dr. Schulman’s research interests include organizational innovation in health care, health care policy and health economics. Dr. Schulman has published over 400 papers, book chapter, and business case studies. His peer-reviewed articles have appeared in the New England Journal of Medicine, JAMA, and Annals of Internal Medicine. He is a member of the editorial/advisory boards of the American Heart Journal, Health Policy, Management and Innovation (www.HMPI.Org), and Senior Associate Editor of Health Services Research. Dr. Schulman is a co-founder of Bivarus, a novel survey platform to assess the patient experience in care (www.Bivarus.com; Series A funded by Excelerate Ventures); is a founder of Faculty Connections, LLC, a consulting services company; a founder of PELI, LLC, an on-line physician leadership program acquired by Duke University and marketed by Medscape as the Business of Healthcare Academy, was a Board member of Anthelio, Inc, an IT services company, is a Board Member of Cue Biologics, an immune-oncology company spun out of Duke University, and served on the Scientific Advisory Board of the Nutrition Sciences Initiative (www.NUSI.org). He is a member of the Advisory Board for the Kaiser Permanente Institute for Health Policy. He is a graduate of Dartmouth College, the NYU School of Medicine, and the Wharton Health Care Management Program. David K. Jones, Ph.D is an Assistant Professor in the Department of Health Law, Policy and Management at Boston University’s School of Public Health. He is Editor-in-Chief of www.PublicHealthPost.org, an online forum for public health policy launched in November 2016. His forthcoming book – “Exchange Politics: Opposing Obamacare in Battleground States” (Oxford University Press) - examines how states made decisions around what type of health insurance exchange to establish as part of the Affordable Care Act’s implementation. He is working on a new book using Photovoice to examine the social determinants of health in the Mississippi Delta, re-tracing Robert Kennedy's steps in the region. He has been awarded AUPHA’s John D. Thompson Prize for Young Investigators, AcademyHealth’s Outstanding Dissertation Award, and the BU School of Public Health Excellence in Teaching Award. 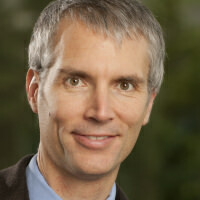 K. John McConnell, PhD, is a health economist Director of the Center for Health Systems Effectiveness at Oregon Health & Science University (OHSU). His work has focused on Medicaid and state policy, behavioral health services, and efforts to improve the quality of care. 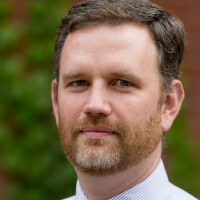 Dr. McConnell’s most recent research has focused on payment and delivery system reform in Medicaid programs, with a particular focus on the impacts of Oregon’s transition to Coordinated Care Organizations, a type of Medicaid Accountable Care Organization. John Z. Ayanian, MD, MPP is the inaugural Director of the Institute for Healthcare Policy and Innovation at the University of Michigan, where he is also the Alice Hamilton Professor of Medicine, Professor of Health Management and Policy, and Professor of Public Policy. He previously served as Professor of Medicine and Health Care Policy at Harvard Medical School and Professor in Health Policy and Management at the Harvard School of Public Health. He has published many influential studies on access to care, quality of care, and health disparities related to race, ethnicity, socioeconomic factors, and insurance coverage. From 2014 through 2016 he served as an Associate Editor at the New England Journal of Medicine. In 2012 he received the John Eisenberg National Award for Career Achievement in Research from the Society of General Internal Medicine, and in 2017 he received the Distinguished Investigator Award from AcademyHealth. Dr. Ayanian is a Fellow of the American College of Physicians and an elected member of the National Academy of Medicine. Henry Aaron is currently Bruce and Virginia MacLaury Senior Fellow in the Economic Studies Program at the Brookings Institution. From 1990 through 1996 he was the Director of the Economic Studies Program. He is a member and vice-chair of the District of Columbia Health Benefits Exchange and is a member and formerly chair of the Social Security Advisory Board. He is a graduate of UCLA and holds a PhD in economics from Harvard University. 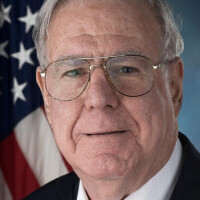 He taught at the University of Maryland from 1967 through 1989, except for 1977 and 1978 when he served as Assistant Secretary for Planning and Evaluation at the Department of Health, Education, and Welfare. He chaired the 1979 Advisory Council on Social Security. During the academic year 1996-97 he was a Guggenheim Fellow at the Center for Advanced Studies in the Behavioral Sciences at Stanford University. He is a member of the Institute of Medicine, the American Academy of Arts and Sciences, the advisory committee of the Stanford Institute for Economic Policy Research, and the board directors of the Center on Budget and Policy Priorities. He has been a member of the boards of directors of the College Retirement Equity Fund and Georgetown University. He has been a member of the visiting committee of the Harvard Medical and Dental Schools and of the Harvard Department of Economics. He was a member of the board of directors of Abt Associates; a founding member, vice-president, and chair of the board of the National Academy of Social Insurance; vice-president and member of the executive committee of the American Economic Association; and president of the Association of Public Policy and Management. Peter A. Ubel M.D. is a physician and behavioral scientist whose research and writing explores how people make decisions related to health and health care. He is the Madge and Dennis T. McLawhorn University Professor of Business, Public Policy and Medicine at Duke University. He is director of the Program for Improving Healthcare Consumerism, and core faculty at the Duke-Margolis Center for Health Policy. He uses the tools of decision psychology and behavioral economics to explore topics like informed consent, shared decision making and health care cost containment. He has authored over 250 academic publications, the majority of which involve empirical explorations of decision psychology as it pertains to health care. He has written for the New York Times, the Los Angeles Times, the Atlantic, the New Yorker, and is a regular contributor at Forbes. His books include Pricing Life (MIT Press 2000), Free Market Madness (Harvard Business Press, 2009) and Critical Decisions (HarperCollins, 2012). You can find his blogs and other information at http://www.peterubel.com/.